The first step to ensure that your trees are in healthy condition is to hire an arborist in Lake Norman. 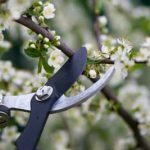 When it comes to the trees at your home or business in Lake Norman, North Carolina, you may find that caring for them properly yourself can be a big chore. So, what can you do to ease the burden of tree care but continue to make sure they are healthy and beautiful all year long? At Top Notch Tree Service, we believe if you hire an arborist, you may be able to achieve your goals without the hassles – and our certified and trained employees are ready to assist you! Storm Damage Cleanup – When a big storm comes through, it can put your trees and the rest of your property at risk. The first step to ensure that your trees are restored to a healthy condition is to hire an arborist for the job. Seasonal Care – Caring for your trees from season to season is one of the best ways to maintain their health for years to come. Let us help you determine the best maintenance plan so you can simply enjoy your trees all year long. Diseased Trees – Discovering that your trees are diseased can come with some difficult decisions. Do you cut the tree, try to get rid of the diseased limbs, or simply let it continue to go untouched? When you hire an arborist with Top Notch Tree Service, we’ll help you determine what to do next. Local Tree Services – You shouldn’t have to call multiple places or ask an inexperienced person to assist you when you need to hire an arborist. For local tree services in Lake Norman, you will find that we provide all the tree care assistance you need here at Top Notch Tree Service. Contact us today for a free estimate. Your Beautiful Spring Landscape Starts With Our Free Tree and Property Assessment! If you need tree care tips or local tree services for your home or business in Lake Norman, North Carolina, you have come to the right place at Top Notch Tree Service!